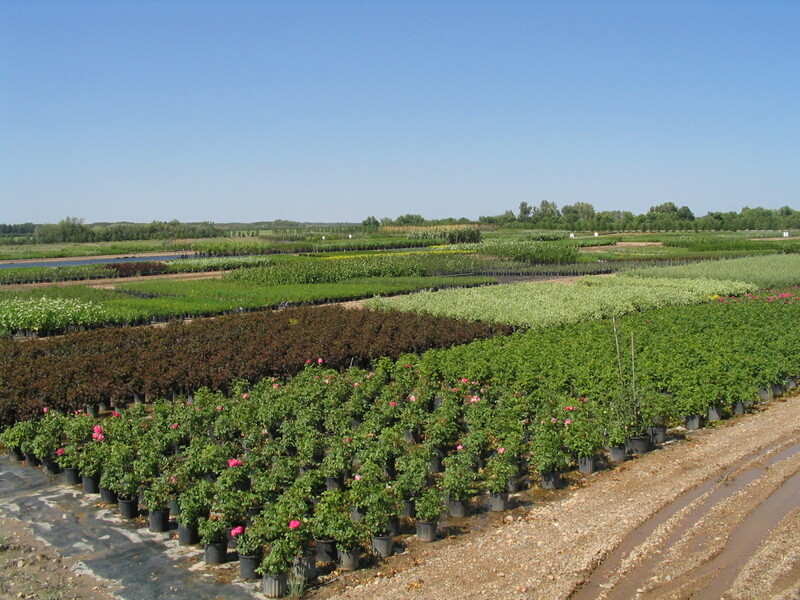 This page is for our wholesale nursery only. We proudly serve landscape contractors, garden centres, golf courses and municipalities. We ask that all visitors and customer pickups be by appointment only from 8:00am to 4:30 pm weekdays. For our retail stores in Saskatoon, Sk. visit www.lakeshoregardencentre.com . Lakeshore has supplied the wholesale market since the late 1950's. 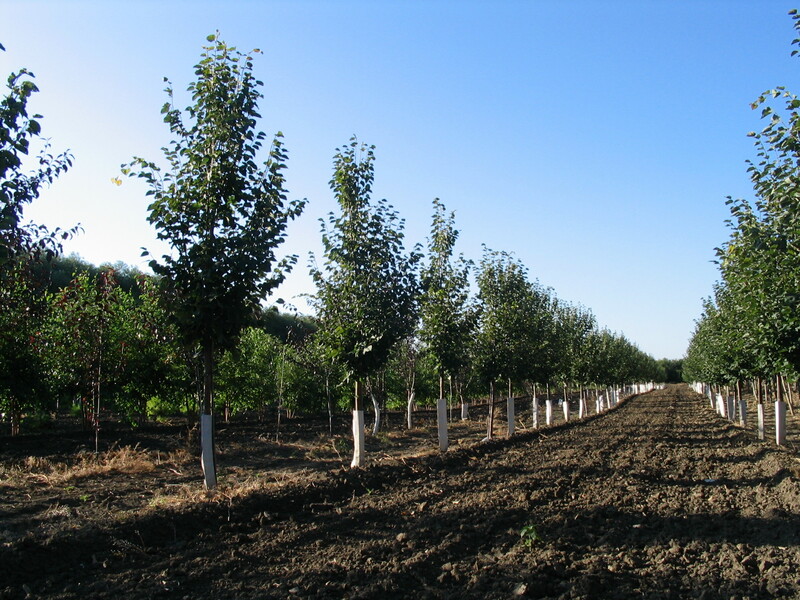 In the thirty years following, we supplied zone 2, prairie hardy fruit trees as well as bare root shrubs and shade trees. We shipped plant material throughout western Canada, into the northern United States and to Alaska. In the past fifteen years our focus has shifted. We now specialize in zone 2, prairie hardy caliper tree production, and container grown shrubs and shade trees. With 13 acres of container shrubs, 3000 pot-in-pot shade trees, and 200 acres of caliper trees, Lakeshore has become Saskatchewan's largest and most complete supplier to the landscape contractor. We continue to supply this plant material to wholesale markets in western Canada, and the northern United States. Lakeshore has always prided itself on supplying quality plant material, hardy for zone 2. To ensure hardiness, we insist on starting the plants ourselves. We have 5 acres of seedbeds, and annually propagate 150,000 rooted cuttings. Please inquire about our availability lists for seedlings and rooted cuttings. 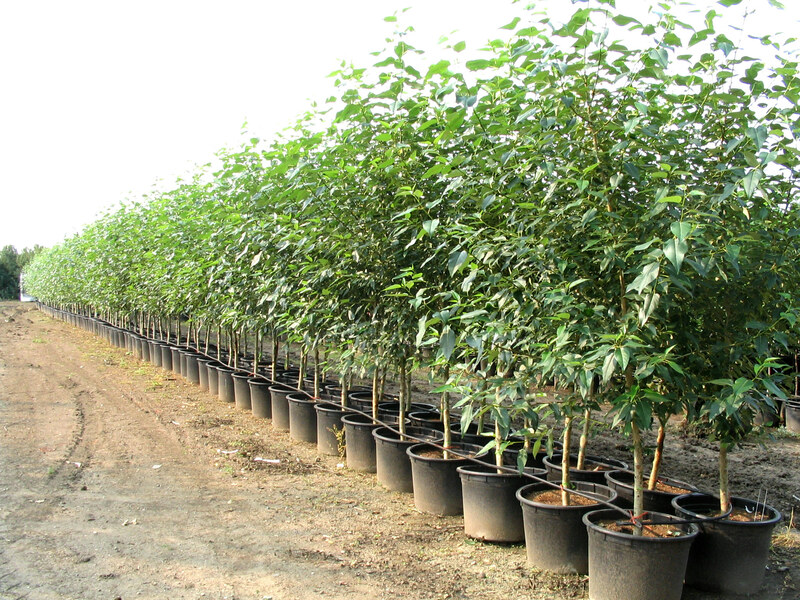 Lakeshore Tree Farms Ltd has the largest caliper tree farm in Saskatchewan. Our irrigated, 250 acre tree farm is situated in the South Saskatchewan River Valley. The river bottom consists of up to 7 feet of alluvial silt, brought in over hundreds of years of floodwaters, making this area very fertile. Over the years, we have been careful to watch for plants that have been one cut above the rest. This rich heritage began with our father, George Krahn. Because of our unique climate, plants from our region are extremely hardy and thrive in many other climatic zones. Some of the plant introductions which George has been involved in are: Royalty, Thunderchild and Morning Princess flowering crabs, Thiessen and Honeywood Saskatoon berries, Prairie Gold and Sunrise apricots, Sutherland and Goldfinch golden elders, Homesteader plum, Green Giant poplar, and Edith Smith apple. You will find these plants grown in nurseries across the United States and in Europe.